Odeur was founded in 2006 by Petter Hollström and is designed by Petter Hollström and Anna Lidström. Originally it was a final examination project from Berghs School of Communication in Stockholm, seeking to broaden the opinion of what design really means from a brand perspective. 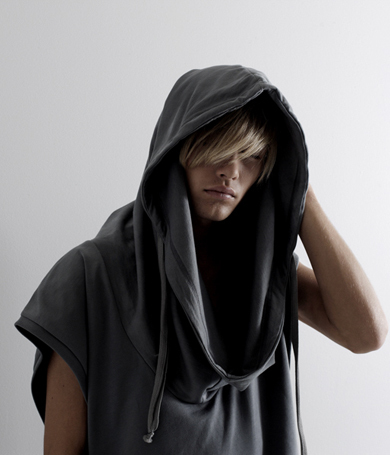 The 3rd collection, Autumn/Winter 08 called »Shapes of Air« is available in Sweden, Norway, Japan, Germany and Australia. Odeur is represented by Diptrics Inc. in Japan, alongside other Swedish labels such as Back (Ann-Sofie Back), Diana Orving, Skyward and Velour. 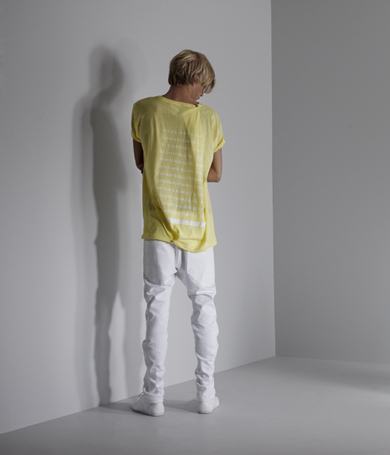 Odeur seeks to challenge conventional notions of how basic garments are constructed. A playful relation to the silhouette, a focus on details and unexpected cuttings characterizes the Odeur collection, that includes jeans, shirts, hoodies, t-shirts, sweatshirt, jackets, scarf and a blazer. The inspiration for the collection have been shades. The result is often slightly oversized garments which all are endorsed with the scent of Odeur – an androgynous, clean, white and light scent. 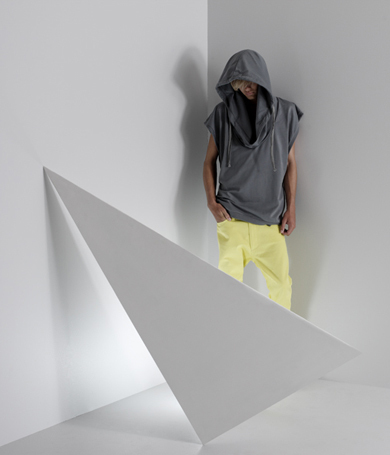 The aroma chosen to represent Odeur is based on a number of visual factors; the clean lines of the clothing with an almost androgynous alien look. By using aromas that stem from the higher scale, the scent of Odeur has become a light, white and clean fragrance. The scent is meant to be clean and unusual, but not a quirky sexual fragrance. It is not gender specific, and the chosen aroma covers all natural elements. It is fresh, clean and modern.